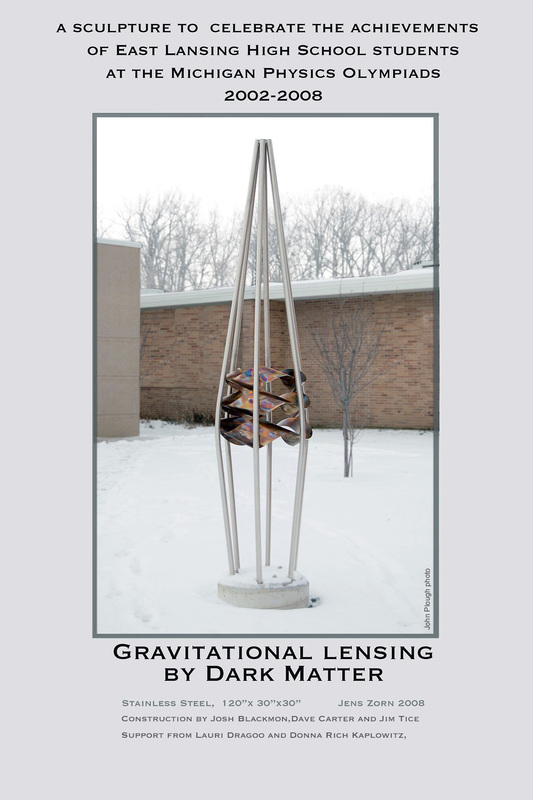 This sculpture depicts gravitational lensing by dark matter. The cause of lensing is represented here by a cluster of Möbius strips, the subtle aspects of which allude to not-yet-understood properties of dark matter. 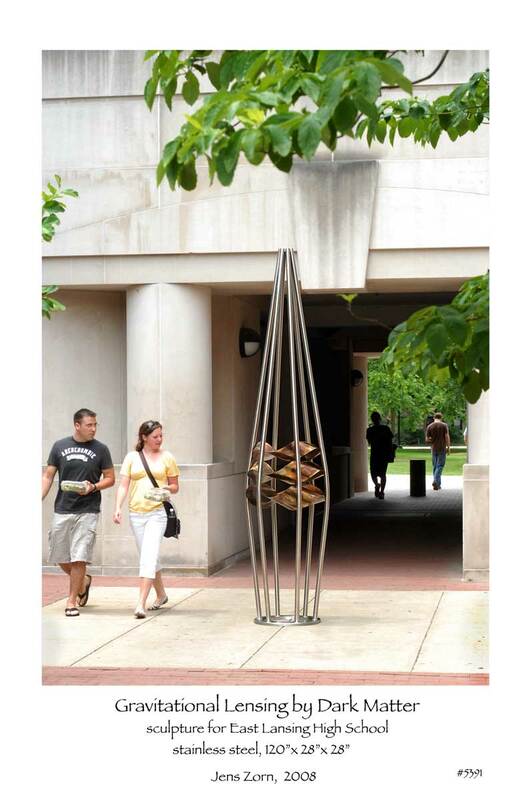 Installed at the East Lansing (MI) High School, the sculpture honors the sustained achievements in physics education by John Plough and colleagues. 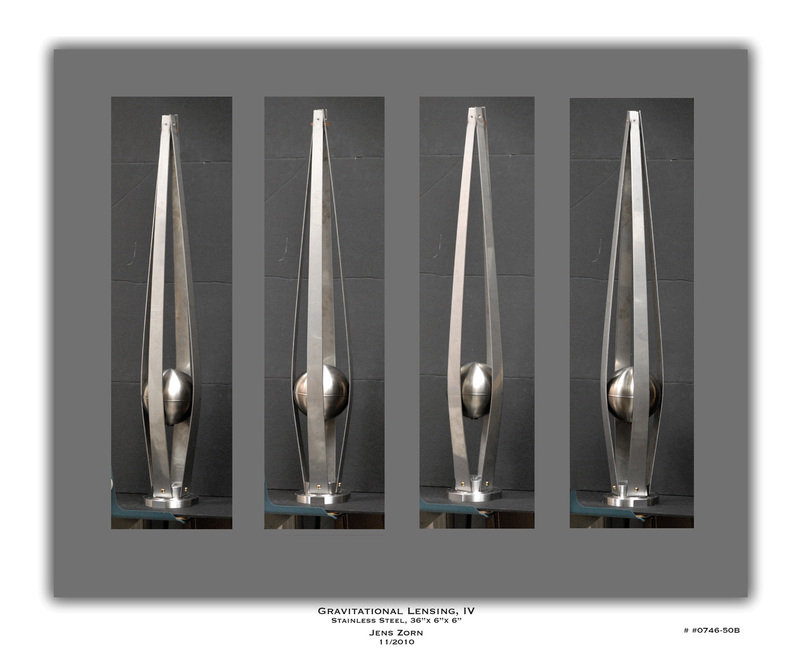 Made possible with the support of Donna Rich Kaplowitz and Lauri Draggoo, the sculpture is intended to remind students of the many unsolved problems in astrophysics and cosmology that remain to be attacked by new generations of scientists.